LFW (London Fashion Week) starts today dolls !!!! This is an email that I got this morning and nearly died with excitement. 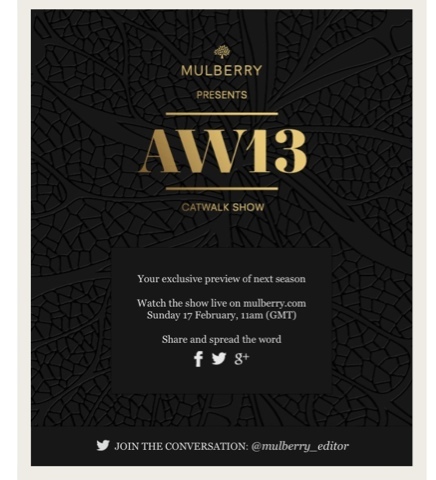 Mulberry is my favourite brand of the moment and I know I'll be glued to the screen. Oh what I would give to be there. Will you guys be watching on Sunday ?? ?